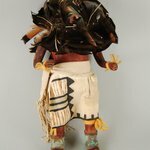 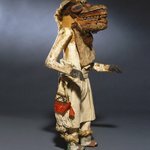 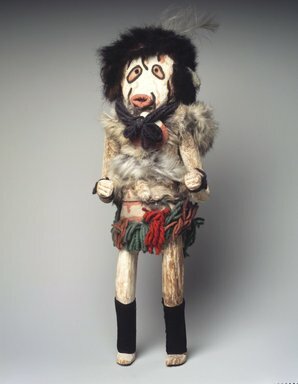 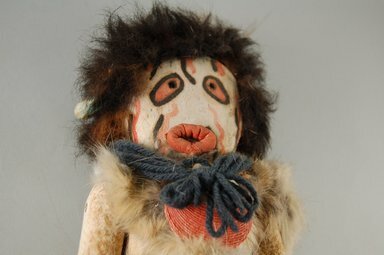 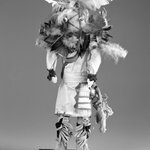 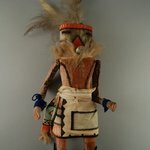 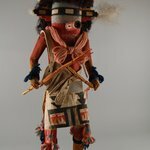 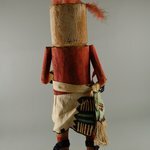 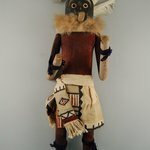 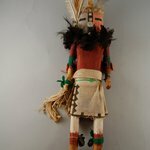 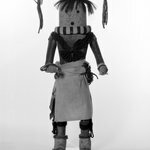 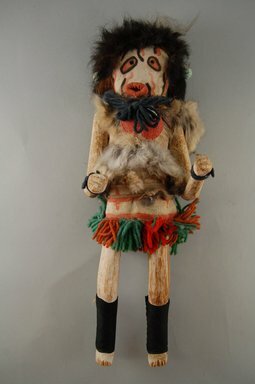 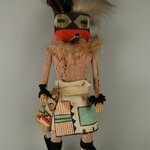 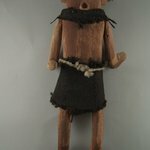 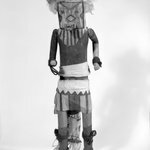 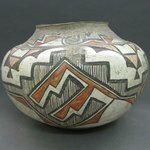 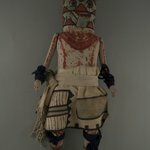 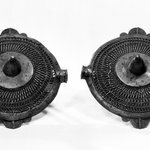 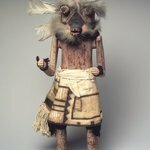 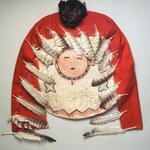 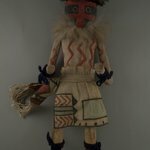 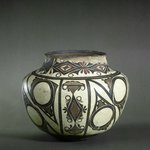 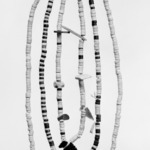 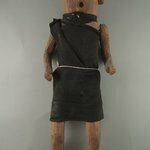 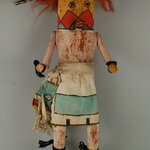 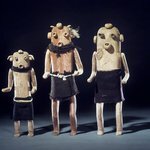 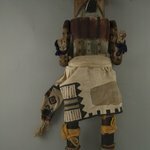 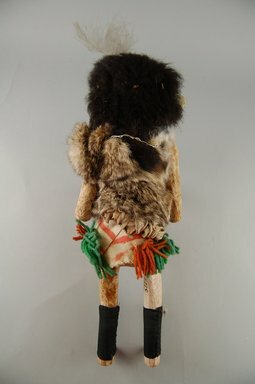 CATALOGUE DESCRIPTION This unknown kachina character has a clown-like, painted face and fur-decorated head. He wears a fur vest and a fabric and yarn dance skirt. 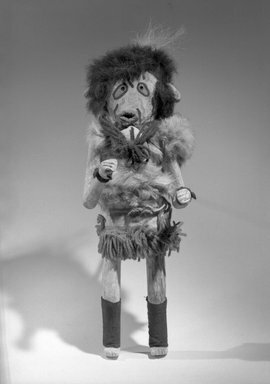 He wears yarn around his wrists and legs. 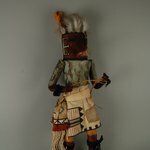 The rest of his decoration is painted.